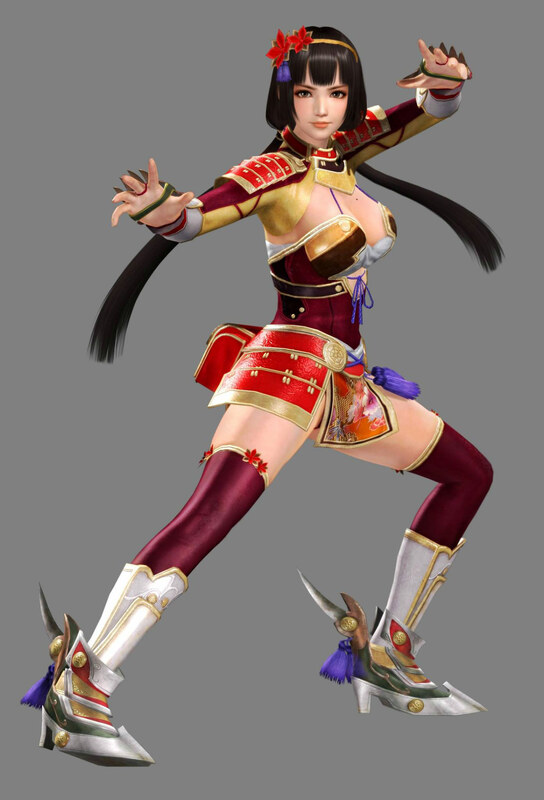 Naotora Ii first appeared in the Samurai Warriors series and made her fighting game debut in Dead or Alive 5: Last Round. 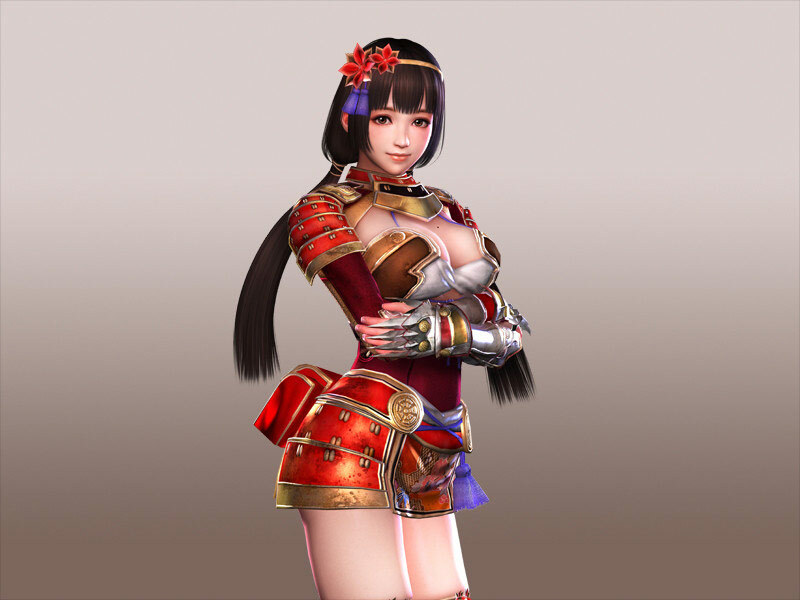 She is one of the few women of the Warring States period known to have ruled as lord of her clan. 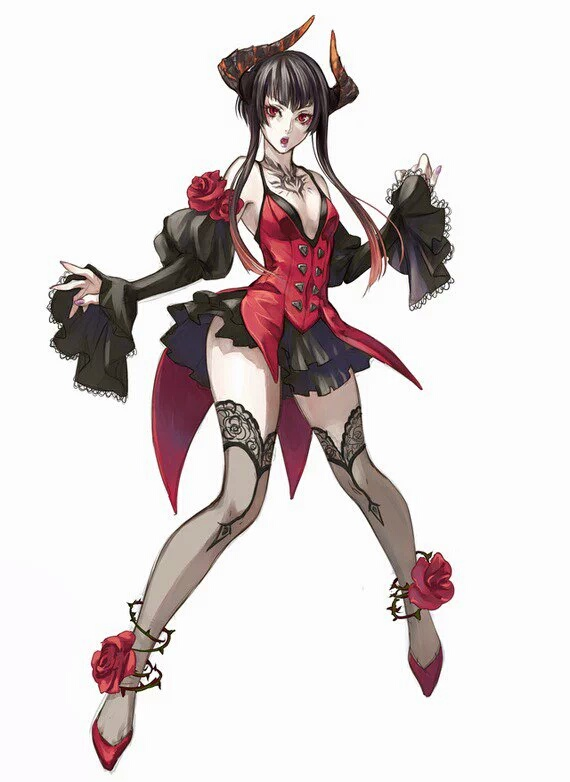 Naotora reigned as the twentieth clan head after her father perished at Okehazama and his designated heir's death to scandal. However, she was allegedly given the title "Female Landlord" rather than the formal title as clan head. Naotora fears war and any sort of conflict. She is first encouraged to fight by her close friend, Tazu, who is Tsuratatsu Iio's wife. Hoping to protect Tazu from danger, Naotora builds enough confidence to fight at Okehazama. Due to the actions of her relatives, however, the Iio clan turn on the Ii clan. The Ii clan vanquish the Iio clan, Tazu dying as a result. Soon after, her clan loses its castle with the Imagawa's fall. Although despondent to have lost her home and friend, Naotora swears to persevere for Toramatsu's sake. Naotora's basic weapons are named after flowers. Her Normal weapon is named after a wisteria vine. A tree peony is named in her Power weapon. Rabbit-ear iris is named in her Speed weapon, a flower which is famed to grow in Mikawa (modern day Aichi Prefecture). Samurai Warriors.... I played the first one, maybe the second one? I don't remember many characters from that series. 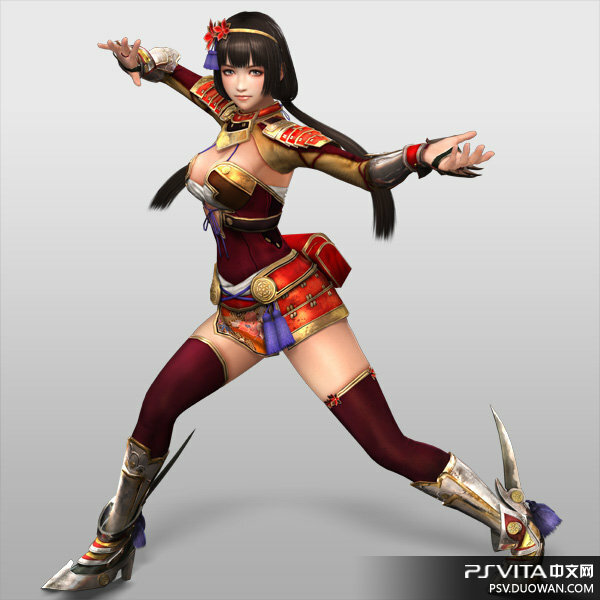 Anyhow, looks like DOA5: Last Round just got its 47th female character. Congratulations. >____> Alright, I guess she looks sorta cool. We'll see.